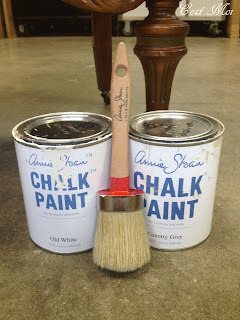 We have a new friend coming all the way from England: Annie Sloan paint brushes; they'll be here tomorrow! These brushes come in three different sizes and are perfect for any Chalk Paint project, whether it's your first attempt or you're a seasoned pro. Their thick, tapered bristles are, according to Annie, "strong and firm, but pliable." It gives you maximum control, reducing brush strokes and helping the paint to go on smoothly. 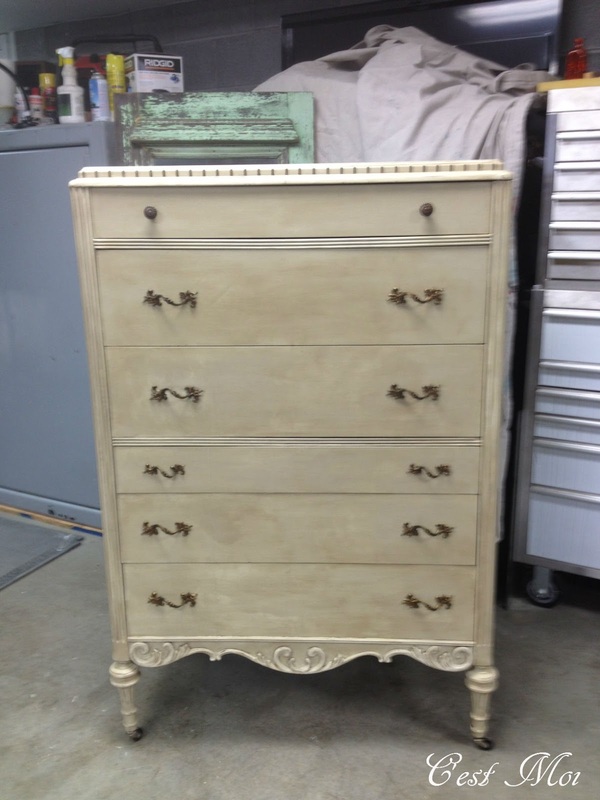 We decided to use Country Grey and added highlights in Old White, with some light sanding on the edges. 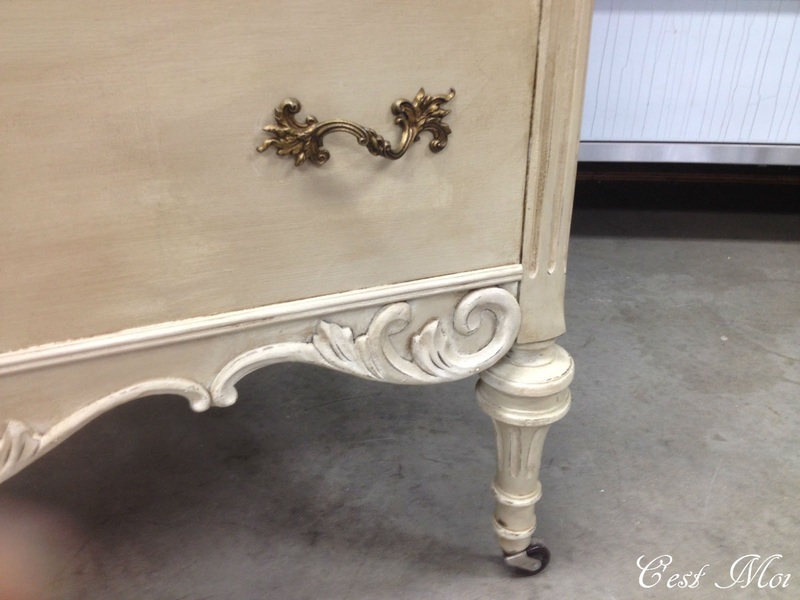 The wax on this dresser is a little bit different. 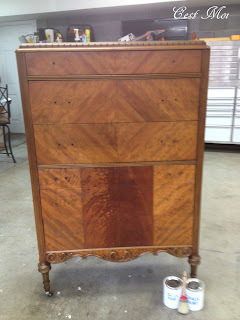 Instead of applying the clear wax first, we applied a blend of 50% clear wax and 50% dark wax straight onto the piece. This creates more of a rustic finish, which works well on this piece since there was a pronounced veneer pattern. 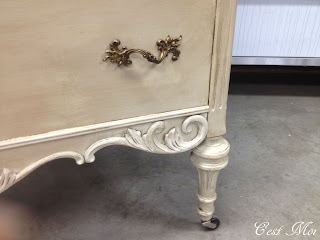 The worn look perfectly complements the original bronze hardware--our favorite part of the dresser! Beware to anyone who wants to try this look; you have absolutely no control over the finished look and you can't remove the dark wax using clear wax, as you normally can. 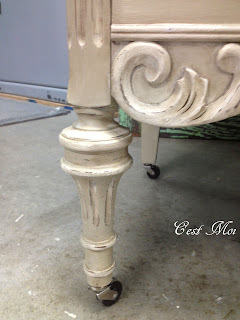 You get one shot to get the look you want, but if you're confident enough to try it it can create a beautiful worn finish. Remember to come in the shop tomorrow (Tuesday, May 1) to get an Annie Sloan paint brush so you can create your own Chalk Paint masterpiece! 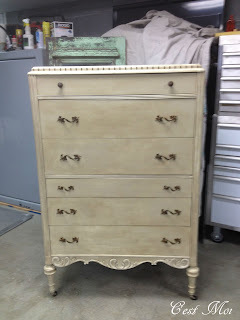 We're packing up the paint and headin' out to Heartsville, Tn for the Strawberry Patch barnsale. 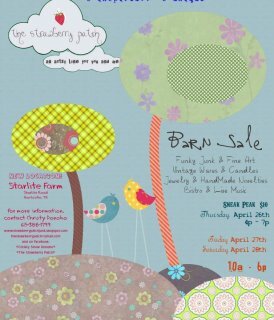 The show will be April 27th and 28th 6pm at Starlight Farm. But if you wanna play in the paint with us, you have to be there for the Sneak Peak night April 26th. For more information, please contact Christy Donoho at 615-388-7799. Although we hate to leave the Barn sale early, we have to get back to C'est Moi in time for the book signing of Container Gardening For All Seasons by Barbara Wise! We are so excited to have her in the shop from 1 until 3 pm this Friday the 27th. If you have never heard of the Brentwood Green Thumb queen herself, I am sure you have seen her handiwork in the beautiful containers of several communities developed by Southern Land. We would love to invite you to come meet Barbara and get inspired to go home and play in some dirt. We already introduced you to Waxing Poetic and their new Bespoken line. 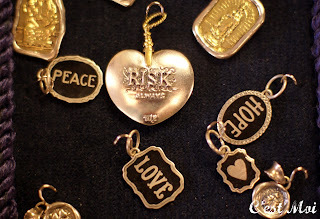 But now you have a chance to get up close and personal with their beautiful charms, chains, bracelets, and other fabulous jewelry pieces! 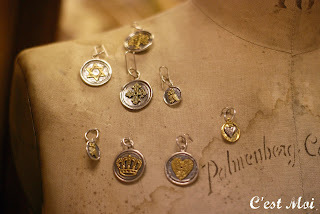 C'est Moi will be having a Waxing Poetic Trunk Show April 20th and 21st-- that's this Friday and Saturday! Our doors will be open during normal business hours, from 10:00 to 4:00 on Friday and 10:00 to 2:00 on Saturday. 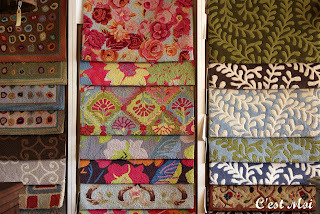 That leaves you plenty of time to peruse all they have to offer, just in time for Mother's Day. 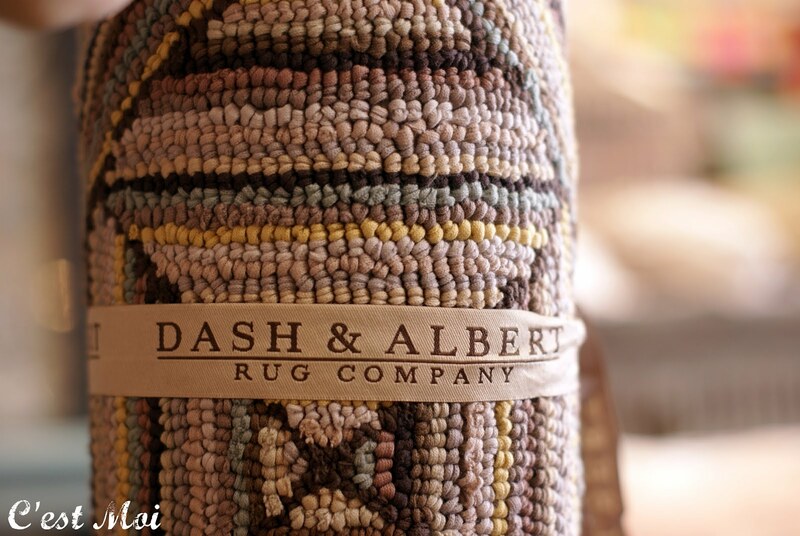 Dash and Albert makes some of the most high-quality, versatile, and timeless rugs on the market. Whether your style is elegant and traditional or quirky and contemporary, Dash and Albert offers numerous options to fit your lifestyle. 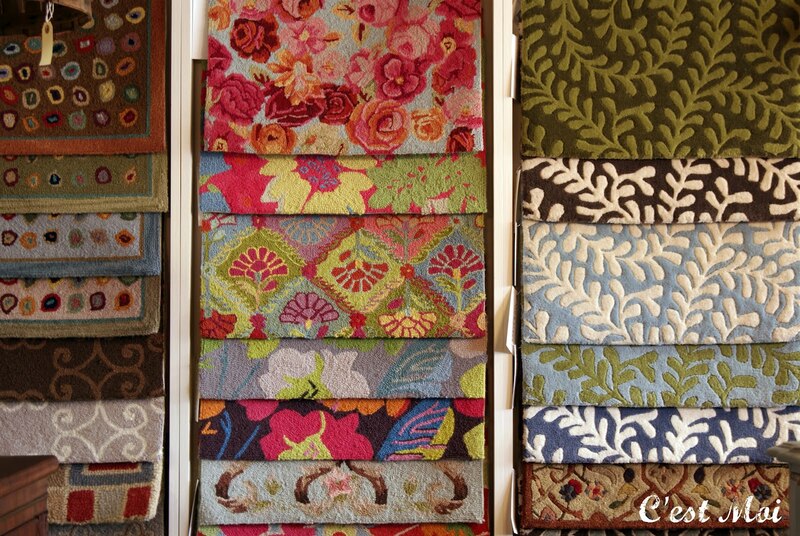 And as if you needed more persuasion, they have recently introduced twenty new styles of indoor/outdoor rugs! You'll find bright sunny yellows and cool classic blues, along with new off-white backgrounds that transition perfectly to an indoor color palette. Perhaps the best part of Dash and Albert rugs isn't the wide array of colors or their unparalleled quality but the ease of cleaning them. 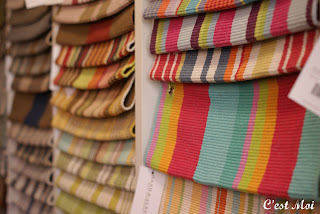 All of their indoor/outdoor rugs can withstand bleaching. Perfect for removing those little foot (or paw) prints! With a new outdoor rug, though, other patio items can start to look a little run down. 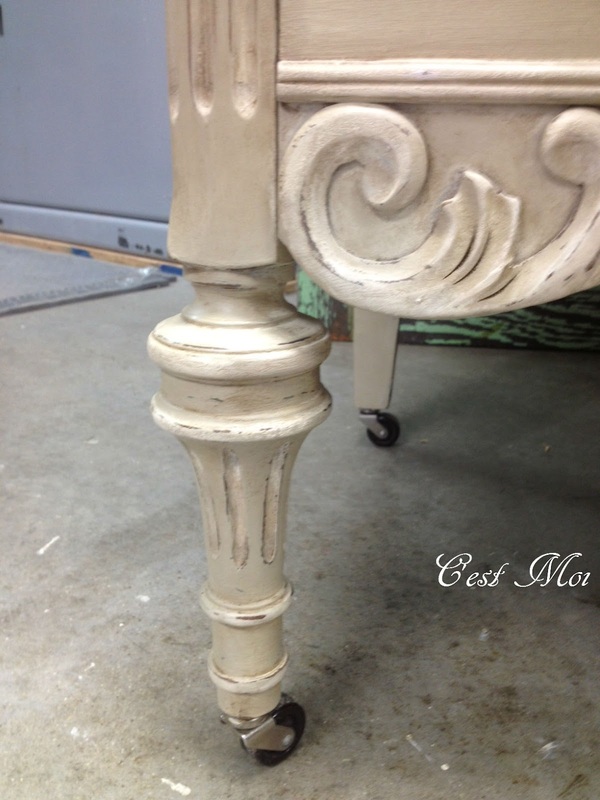 Why not spruce them up with a little paint? 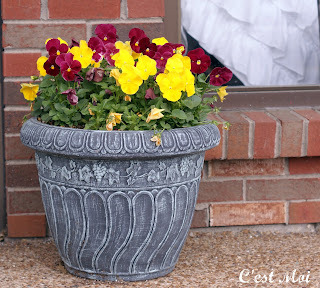 This styrofoam planter has been transformed from shabby to chic, all with the help of Annie Sloan Chalk Paint. For the same look, paint the entire planter in Graphite and then dry brush over it with Duck Egg Blue. Quick, easy, and beautiful! 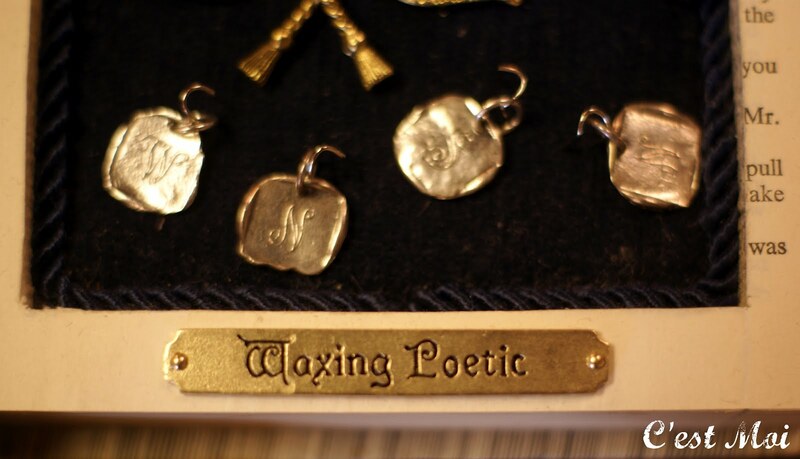 Don't forget to save the date for our Waxing Poetic trunk show! 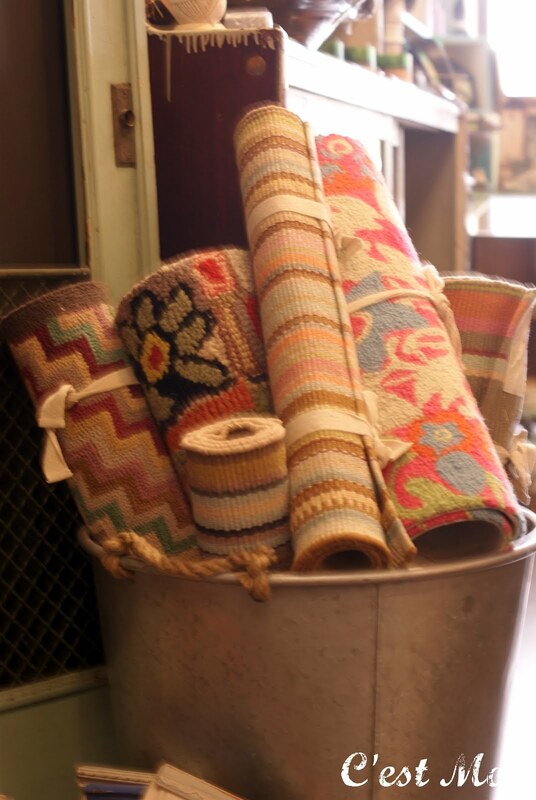 Come by the shop April 19th-21st to check out their great line of products!